I first saw Swaady on CNN during an interview about her luxury brand. I was in Uganda at the time and that interview struck a chord deep within me. Swaady mentioned leaving her job in the corporate world in pursuit of her passion. She left her prestigious job at GE to start a luxury brand inspired by Africa, her homeland. Leaving this job was a huge leap but Swaady had faith in the continent, her wealth of natural resources and women in need of empowerment. Most people know Yswara for its range luxury teas but there is more. Swaady’s also company offers teatime accessories and aromatherapy candles among other luxury items made in Africa. My passion was in jewellery and listening to Swaady during that interview made me decide to turn my jewellery business into a luxury brand. I went ahead to launch a range of products that I named AD LUX. 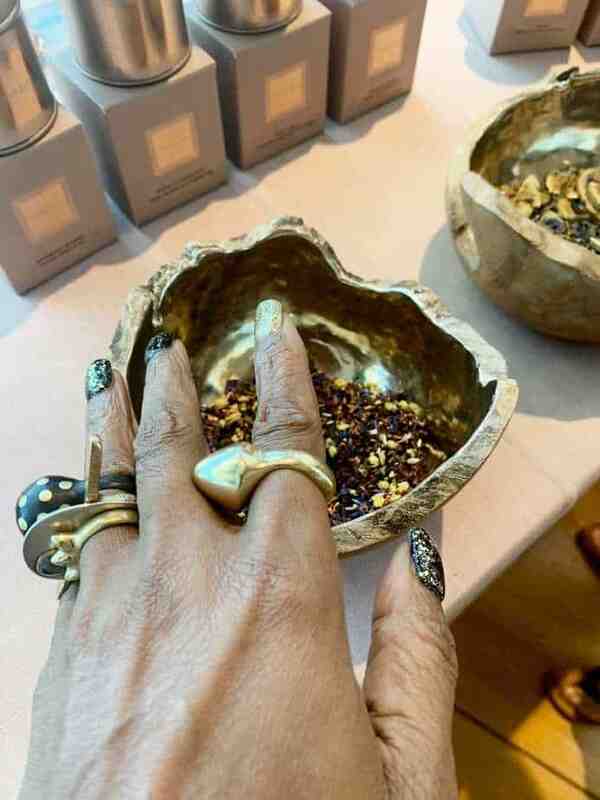 As part of this range was the Swaady Collection that included handmade bags and jewellery honoring our rich African cultures and as a celebration of African renaissance. 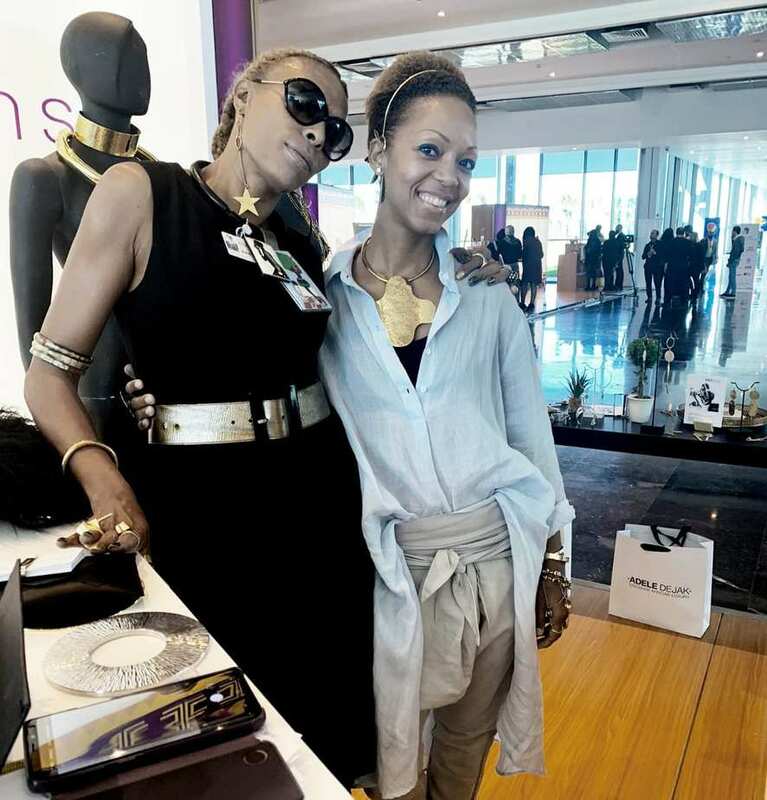 Over the years, Swaady and I have become good friends championing for African Luxury and women empowerment. Our separate businesses have seen us visit many cities around the world where we both had the pleasure of displaying our products. 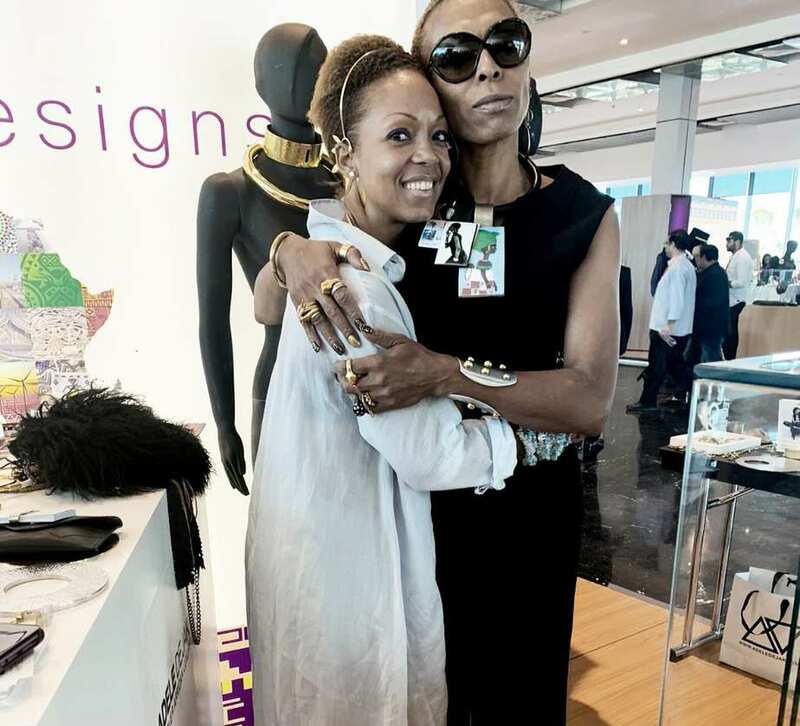 Most recently, we met at the Africa 2018 She Designs Expo that was designed to give African women a chance to exhibit and sell their version of luxury. As destiny would have it, I had a chance to work together with a woman I admire. It was such a delight to discover that Swaady and I were both on the panel at the Lionesses of Africa conference in CapeTown, South Africa. Melanie Hawken founded Lionesses of Africa with a goal of empowering women entrepreneurs. The social enterprise delivers; development programs, business tools, networking events and many resources for women entrepreneurs. It has members across 54 African countries and reaches others in Europe and North America. Besides Yswara Swaady has other pursuits including, a company called ShiftWithin.Me; guided by the mantra “In order to make a difference in the outer world, you need to change your world within”. She has also written a children’s book titled; Malaika and the Angel reflecting on her spiritual journey. You can find out more about this African warrior woman by keeping up with her on instagram. Without a doubt, Swaady Martin is a passionate, revolutionary an iconic African woman. More than a friend, she is my shero and I love her to bits.